War Is Boring published an earlier version of this story on Oct 28, 2013. A cold and bitter enemy looms along the northern border of the United States. 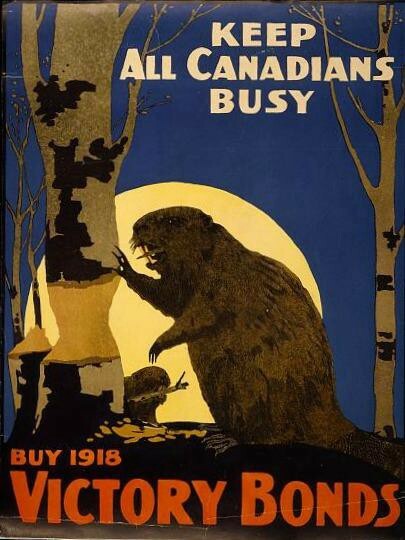 More than just a wellspring of jokes about hockey, beer and beavers, Canada represents an existential threat. Did you know they have universal healthcare, block all the land routes to Alaska and wisecrack about American waistlines? That’s just rude. Should things come to blows, the United States needs to be prepared. And it was. The plan has been around since first half of the 20th century and you can read it right here. And don’t be fooled by Canada’s peaceful attitude. It has its own plans for an invasion to the south. One it drafted a full nine years before the United States ever thought about what all-out war with the Canucks would entail. During the years between the World Wars the U.S. military needed a way to keep the minds of its officers fresh and ready. It was a time of relative international peace, and America turned toward isolationism. But it still planned. These plans were developed during the 1920s and ’30s by the U.S. Joint Planning Committee (later to become the Joint Chiefs of Staff) and each assigned a color to a particular world power the United States saw as a potential adversary. Black for Germany, Orange for Japan, and Red for the British Empire. The United States assumed that much of War Plan Red would take place in Canada, which it designated as the Crimson territories within Britain’s red spectrum. The U.S. strategy saw possible war with Britain as a long-term affair, and the seizure of Canada was meant to stall the British Empire and eliminate a strategic inroad into the United States. The U.S. was prepared — on paper at least — to gas its plaid neighbors as an opening volley in a war. It’s no wonder that news of this plan caused a stir in 1974 when it was declassified. But this was just a plan, right? Words on paper meant to keep the minds of our military strategists working. Mental exercises to keep U.S. officers from going soft. In 1935, just a year after the plan was updated to authorize the use of chemical weapons, the War Department appropriated $57 million to build three airfields along the Canadian border just in case the United States needed to dominate Canadian air power. The secret plan included disguising the air bases as civilian airports. The Government Printing Office made a mistake, however, and published the plans. The New York Times saw them and ran them as front-page news on May 1, 1935. The administration of Pres. Franklin Roosevelt then spent some time in the press downplaying accusations that it planned to invade Canada. The color-coded war plans were eventually withdrawn in 1939, stashed in the National Archives and replaced by more realistic strategies with eyes on the conflict in Europe. Canada isn’t innocent in all of this. In 1921 — nine years before the first draft of War Plan Red — one plucky Canadian veteran and strategist wanted to make sure that his country had a plan in place should Washington decide to set its sights on his country. Lt. Col. James “Buster” Sutherland Brown knew that Canada could never beat the soon-to-be superpower to the south without help, so he created a plan that involved a preemptive strike followed by a strategic retreat back into Canada. The hope was that the U.S. would be caught off guard, allowing enough time for the British to come to Canada’s rescue. At the first sign of military aggression, Canadian forces would push into the states and take Spokane, Seattle, Portland, Fargo, portions of the Great Lakes region and Albany. When the inevitable retaliation came, the Canadian military would withdraw and destroy bridges, factories and other infrastructure as they went. It wasn’t a bad plan considering the circumstances, and was well researched to boot. Buster traveled into the northern reaches of the states with a group of fellow strategists, all dressed as civilians. They took extensive notes, took pictures of strategic bridges and highways and made small talk with the locals to assess their readiness for a fight. His written observations of U.S. towns and cities — since reprinted in several books — are hilarious in retrospect. “While we stopped here near North Duxbury a man employed on the state roads in repair patrol came up,” Buster wrote. The subject of a U.S. invasion of Canada has been played for laughs in John Candy movies and foul-mouthed cartoons. But there’s a history here, one that makes a touch more sense. In 1775, the Continental Army attempted to invade Canada in order to capture the province of Quebec and turn the French speaking Quebecers to the revolutionary cause. It didn’t work and the Continental Army turned back south to more pressing interests. The U.S. tried this again during the War of 1812, with much the same results. The Pork and Beans War of 1838 was a territorial dispute between Maine and New Brunswick that ended with a settling of various borders along the U.S. and Canada. And, finally, the Pig War of 1859 settled the borders of Oregon and Columbia, although one pig was murdered. These little wars and flare ups are understandable. They’re the growing pains of new nations, stretching and testing their borders, attempting to find out just where one country ends and another begins. The idea of close allies like Canada and the U.S. duking it out may seem far fetched and bizarre, but that doesn’t mean that both sides haven’t thought about it.